In this video tutorial we will show you how to set the default programs on Mac. In order to set the default programs on Mac, open “Finder”. 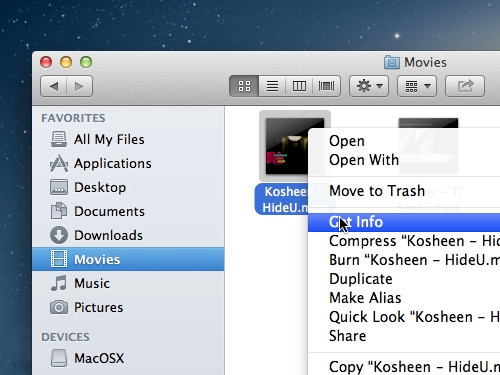 For example, go to the “Movies” folder. Right-click on the video file and choose “Get info”. Select “open with” and choose the application you want the file to be opened with. Now click on “Change all”. In the appeared window click on “continue” to confirm the selected application as a default player for the selected file type. Now, if you click “Get info” on another video file, you can see that it will be opened with the previously selected default program.